It was a meeting of two shrewd minds, one a businessman, the other a skilled politician with an eye on business and investments. And both with convergence of interests in key areas – strategic environment, defense, counter-terrorism and trade. Together, in a frenetic half-a-day of meetings on June 26, Prime Minister Narendra Modi and President Donald Trump came up with a down-to-earth plan for cooperation by the two great democracies on matters of priority. 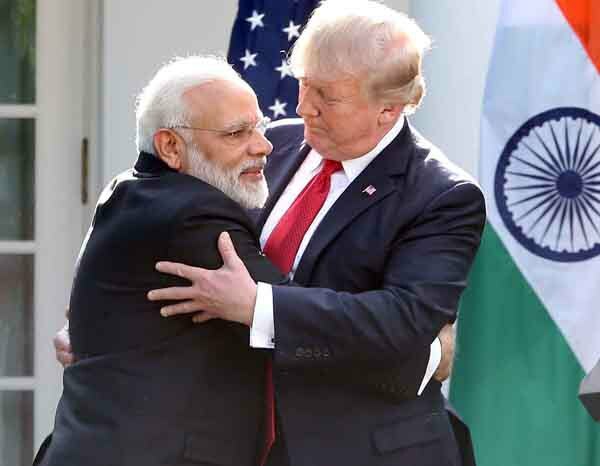 “These two (Modi and Trump) were taking a very concrete approach,” said Ambassador Teresita Schaffer, former State Department official and founder of South Asia Hands, who noted this made it stand out from previous visits of leaders from India. The “Make in India” Modi and “Buy American, Hire American” Trump managed to skirt uncomfortable topics and focus on the factors that bind, developing an apparent personal rapport sealed with a hug at the White House Rose Garden after showering each other with plaudits. Their meeting set at rest any concerns that India-U.S. relations may cool after the “bromance” of Modi and former President Barack Obama. The absence of any “dramatic turns” in policy from the previous administration, demonstrates that the bilateral relationship, “can withstand a significant shift in the overarching orientation of U.S. foreign policy,” Sumit Ganguly, the Rabindranath Tagore Chair in Indian Cultures and Civilizations at Indiana University, Bloomington, wrote in a Foreign Policy Research Institute paper. Trump and Modi supporters in the Indian-American community were equally appreciative before, during and after the visit of the Indian Prime Minister, though one of its major concerns, the H-1B visa, was left out of the equation at the official meetings of the two leaders. “It was a good start to building personal and U.S.-India relations – which is very important regardless of who is in the White House,” said Dr. Sudhir Parikh, publisher of News India Times, and recipient of India’s civilian award, the Padma Shri, who was present at a community reception. The leaders also feted the Indian-American community, lauding its achievements. Modi met some 600 invitees at a community reception the day before his bilateral with Trump. “This administration may be more useful to India in the economic field,” said Parikh, adding that both Trump and Modi had a “good vision” for their respective country’s development. He pointed to the sale of drones to India and the contract for airplanes with the Indian company SpiceJet, and the sale and joint manufacture of F-16s as major accomplishments. In fact, not bringing up H-1B visa, Parikh contended was a “good diplomatic move” because American companies need Indian IT skills. “NRIs (non-resident Indians) also appreciated that he (Modi) considers us a part of India’s family,” Parikh said. 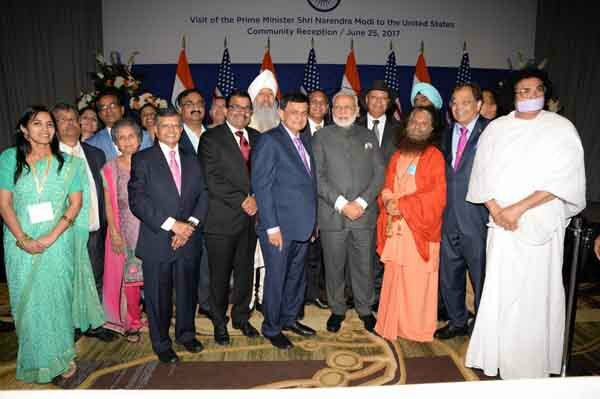 Puneet Ahluwalia, former advisor on the Trump transition team’s Asian and Pacific Islander Advisory Committee and currently an elected member of the Virginia Republican Party State Committee, was also among the invitees to the community reception for Modi. He was impressed with the list of accomplishments Modi mentioned during his speech — no stain of corruption, the surgical strike against Pakistan, and taking care of the poorest families through various programs. On the bilateral meetings, Ahluwalia said, the tone was set to priorities on trade and economic growth from the Trump side. “Americans are very clear with what their expectations are,” he said. For Karthick Ramakrishnan, professor at University of California, Riverside, and founder of APData, the visit appeared to be in a bubble where Indian media and India analysts was more invested than Americans. “It was a good photo-op and certainly key members of the Indian-American community and CEOs with interests in India came to see Modi. But media coverage was very uneven, lopsided,” Ramakrishnan contended. “It was very different from Modi’s last visit. 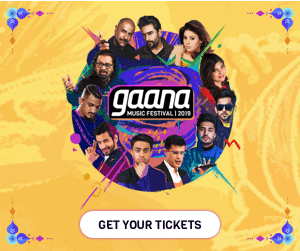 Not only was Obama very popular with Indian-Americans, Trump’s other personal, legal, and political issues, and tweets took over the airwaves here so that the Modi visit faded in the background,” he said. President Donald Trump spent almost a whole day with Prime Minister Narendra Modi June 26, both in private and in extensive bilateral meetings that yielded a Joint Statement reiterating past agreements, but also making a couple of departures. While most analysts had predicted a more-of-the-same meeting, and expectations were generally low on any striking deliverables, the actual interchange and results went beyond expectations to produce some solid results. Ending the trade deficit with India, and creating jobs was a continuing theme for Trump, as was counter-terrorism. India saw positive departures from precedent with concrete steps Washington took even within the short space of time that Prime Minister Modi was here. The designation of a Kashmiri militant leader of the Hezbul Mujahideen as a terrorist, found a place in the official Joint Statement where the unprecedented words “safe haven” were used in reference to Pakistan. Despite knowing about the sometimes mercurial reactions of President Donald Trump on various issues, analysts have generally come out on the positive side, though concerned he might retract from positions taken if a crisis were to happen. An example is the scathing critique the President launched on India’s supposedly self-serving free-ride on climate change, yet before and after that, he emphasized he was a “true friend” of New Delhi. To the advantage of both countries, the actual Joint Statement is there to set in stone a generally affable and continuously growing and deepening relationship already established and acknowledged again and again – strategic partnership, most important partnership of the 21st century etc. South Asia and India experts saw their ‘transactional’ approach as positive. While as a businessman, Trump looks to being a ‘winner’ in any negotiated outcome, the two leaders appear to have started out with the assumption they would both benefit, and they did a “reasonably good job of that,” Schaffer told News India Times. “Trump was willing to accept some degree of ‘win-win,” Schaffer added. The Brookings Institution’s panel discussing the bilateral meetings noted the long-range factors such as China’s rise, shared democratic values of India and the U.S., and the numerous bilateral dialogues ongoing between New Delhi and Washington, as determinant underpinnings of the strong relationship. The Joint Statement’s “sharpest” language, was reserved for Pakistan, and that could signal a possible hardening of Washington’s stance toward Pakistan, Brookings panelists agreed. Schaffer believes the Trump administration has yet to work out how to deal with Pakistan. “Modi is hoping the U.S. will take a hard line … and ultimately … Trump will take a hard line,” she contended. The joint statement was ‘everything’ the Indians wanted, says Walter Andersen, head of the South Asia Program at the Johns Hopkins School of Advanced International Studies. Currently on the faculty of Tonji University in Shanghai for the summer, Andersen spoke to this correspondent via Skype, saying he and his Chinese colleagues had closely watched the coverage of Modi’s visit and discussed it. “My Chinese counterparts said the India optics were good with the red carpet and the long time the two leaders spent together. They were happy with the mention of “freedom of navigation” which they see as freedom of navigation in the South China Sea,” Andersen said. Meanwhile, China’s troop movement on the Sikkim border could be a direct result of the developing U.S.-India closeness, some analysts say. India’s former Ambassador to the U.S., Nirupama Rao writing in The Hindu newspaper, described it as a reaffirmation of an “indispensable partnership.” Modi’s visit, she says concluded on a note of “reassuring affirmation” about relations between the two largest democracies. “The chemistry was positive, and the physics (that is, the structural content and equilibrium) and the geometry (the angles and alignments along which the visit was pitched) well-calibrated,” Rao said. 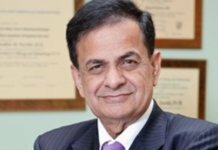 “I thought the visit was (a) tremendous success,” Robert Blake of McLarty Associates, formerly the Assistant Secretary of State for South and Central Asia is quoted saying in a Press Trust of India report. Instead of focusing on divisive issues of which there are several, the two focused on what brought the nation’s together – continuing the strategic and defense cooperation, counter-terrorism, and moving forward on trade. “I think it sets a very, very positive baseline for the future. I don’t think the meetings could have gone better,” Blake said.